TUESDAY, June 27, 2017 (HealthDay News) -- In a heads-up to World Cup soccer players from 2014, researchers are warning that health officials may have missed some cases of concussions. That's because World Cup health care providers often failed to follow international recommendations for assessing concussions, according to a new study. 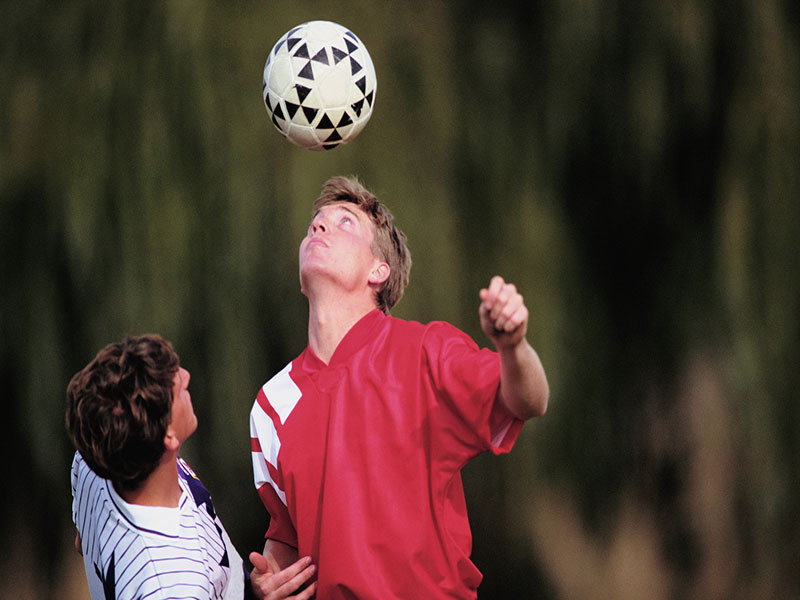 "In the 2014 World Cup, we found that players received no or very cursory assessment for a concussion after sustaining a collision and showing concerning physical signs for a concussion," said study lead author Dr. Michael Cusimano, a neurosurgeon at St. Michael's Hospital in Toronto. He and his colleagues reviewed videotapes of the 64 games played at the soccer tournament in Brazil and found that "concerning" head collisions occurred 72 times and affected 81 players. Fourteen of the players (17 percent) showed no sign or one sign of a concussion, 45 (56 percent) had two signs and 22 (27 percent) exhibited three or more signs. International Conference on Concussion in Sports guidelines adopted by FIFA, soccer's international governing body, state that players showing any signs of concussion should be immediately withdrawn from play and assessed by sideline health care officials. Signs of concussion include headache, fogginess, loss of consciousness, unsteady gait and slowed reaction times, the researchers noted. The study found that sideline health care providers assessed only 12 (15 percent) of the players involved in concerning head collisions during the 2014 World Cup. These assessments averaged 107 seconds, ranging between 64 and 180 seconds, the study showed. Another 45 of the players (56 percent) were assessed by another player, referee or health care staff on the field, and 21 of the players (26 percent) received no assessment. The study also found that of the 67 players who showed two or more signs of concussion, 11 players (16 percent) received no assessment and returned to play immediately, and 42 (63 percent) immediately returned to play after an on-field assessment by another player, referee or health care worker on the field. Eleven players (16 percent) with two or more signs of concussion were assessed on the sideline by health care providers and returned to play, and three (5 percent) were removed from the match or tournament. One of the three who were removed initially was allowed to return to play after an on-field assessment by health care staff. Among the 22 players with three or more concussion signs, 19 (86 percent) returned to play during the same game after an average assessment of 84 seconds, the study showed. Cusimano noted that 265 million people play soccer. That's 4 percent of the world's population, he said in a hospital news release. So, it's important for FIFA to set an example for other to follow, especially in amateur and children's leagues, he added. The findings were published online June 27 as a research letter in the Journal of the American Medical Association.